If “When should I wean my baby?” is a question that is on your mind, you have come to the right place. Here is all of the information you need in a nutshell when it is time to start feeding your baby solids. 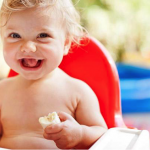 When should you start feeding your baby solids? The World Health Organization states that the optimal nutrition for your baby is provided by exclusively breastfeeding for the first six months. Not everyone wants to or is able to do this, and many parents bottle feed either from birth or switch to bottle feeding at some point in the first six months. 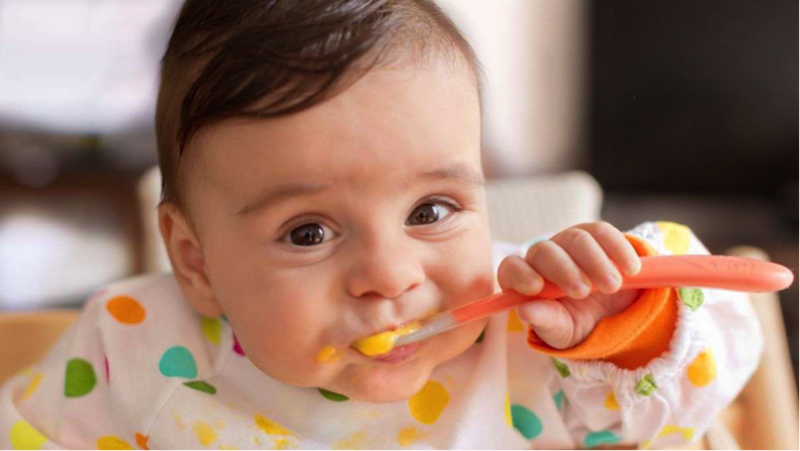 Previously parents were told to begin trying solids at around three months, but the current medical advice is that you should hold off introducing solids until six months if at all possible. How do I know when my baby is ready? When your child has passed the four-month mark, you should be on the lookout for signs that they may be willing to try solids. If your baby is reaching up for your food while you are eating, if she is watching with interest when everyone else is sitting around the dinner table, she might be ready to try solids. One important factor in your child’s readiness is whether or not they can sit up unaided. You should not attempt to feed your baby solids if they are unable to sit on your lap on in a chair because otherwise there is a high possibility they could choke. Other signs of readiness include putting things in her mouth, a sudden upturn in the amount and frequency of milk she is consuming and a baby who begins to wake at night for feeds after having slept through the night. Learn first aid and know how to perform the baby Heimlich maneuver. There is no hurry to wean your child, and your stress will rub off on your little one. Don’t rush out to buy loads of utensils, plates, bowls and bibs. To begin with you only need a slightly soft spoon specifically for feeding babies. This type of spoon has a broad flat front to make it easier and safer for your baby. 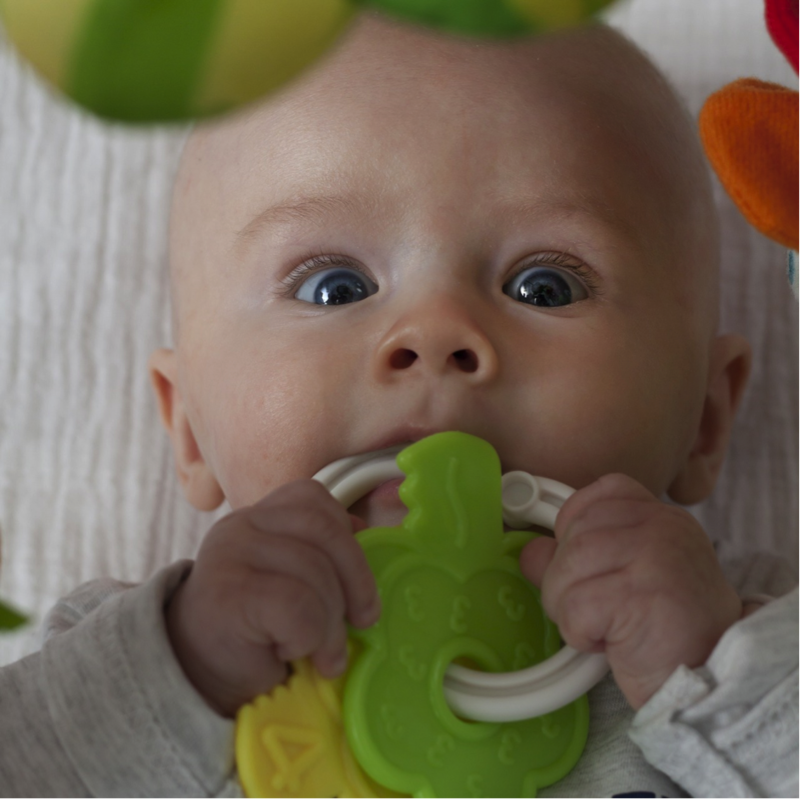 As you and your baby become more used to solids, buy items one at a time because you can never be sure they are suitable for you both until you have tried them out. For instance, I bought a six pack of plastic bibs with the scoop at the bottom and only used one once because our son would not eat while he was wearing it. Choose a moment when you have plenty of time and will be in no hurry to finish feeding or any rush to clean up afterward. Begin by giving your child the first part of his milk feed to take the edge off of his hunger. Then offer him the first taste of solids on the very tip of the spoon. If this goes well, provide your little one further spoons of solids until he loses interest. Finish off by offering a last drink of milk. You do not need to buy a fancy expensive high chair to begin feeding solids. You can sit your baby on your lap for the first few feedings, or you can use an infant car seat or something similar. As long as your child can sit supported, what they are sitting in doesn’t matter. Homemade or store bought – does it matter? In a word, no. Whether you decide to feed your child with store bought food or choose to make every bite for them yourself, at home is purely a matter of personal choice. Today’s store bought foods are heavily regulated and have stringent standards for ingredients and nutrition. You can purchase a regular or organic version of most baby food items, and your grocery store will carry a wide variety of flavors. If you decide to make all of your own food, just remember not to add sugar, salt or strong spices to your baby’s first foods and maintain high hygiene standards in your kitchen. The current medical advice says iron rich foods are the best to start off with. That can mean meats (although they are not that appetizing pureed), cooked egg yolk, well-cooked lentils or fortified cereal like oatmeal. Avoid the highly processed white rice baby cereals they have little nutritional value other than the iron they are fortified with. Once you and your child are happily managing solids at one meal a day, you can begin to introduce new foods. Pureed fruit and vegetables are an excellent way to go once you have established feeding. Sweet potatoes, carrots, or avocado are all readily available as either fresh items for you to puree yourself or as readily prepared purees from the store. Excellent first fruits include pears, mangos, bananas, and cooked and mashed apples. When you have established these first foods once a day, you can move onto other meal times and have your baby join the family at each meal. Congratulations you are no longer a beginner and you can now both progress to the next stage of mashed and lumpy food.